Unlike many feline self-assessment reviews,Feline Medicine - Review & Test goes in-depth into more than 70 clinical cases from a panel of international experts. 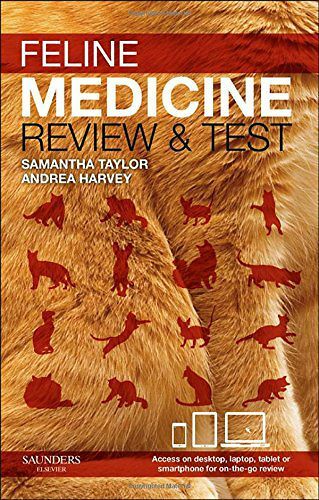 This handy manual covers common health conditions in cats with descriptive and diagnostic images and clinical and laboratory data. It challenges you to formulate a differential diagnosis, suggest a recommended therapy pathway, provide an educated prognosis, and propose ways of prevention - then reveals the definitive diagnosis, treatment, preventative medicine, and final comments at the end of each case. You can also self-test on the go with the mobile-optimized companion website.